Many organizations have deployed disk-to-disk backup technologies to improve the speed and reliability of their backup and disaster recovery operations. A growing number of these now look to data deduplication to enhance retention periods and reduce costs. 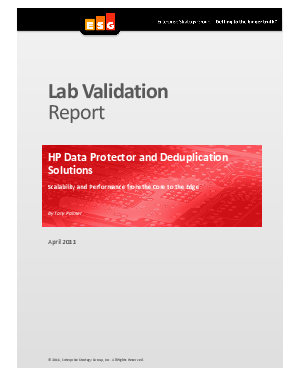 This ESG Lab Validation Report sponsored by HP + Intel examines a number of backup and recovery solutions and evaluates their ease of implementation as well as their ability to improve reliability and reduce costs.